Show your business and your products in the best light. Learn how cinemagraphs can boost your social media engagement! Event coverage, promotional shoots, product photography, School & Team portraits and more. Services for businesses of any size! Karyn Lee Portrait offers a variety of corporate services. Whether its product photography, promotional photos or images for advertising, Karyn Lee can find a creative solution to fit your needs. Serving Calgary, the foothills and all of Canada, Karyn Lee has a solution for your business – whether you’re a large corporation or a small business. We are able to accommodate our corporate clients in our fully appointed studio in beautiful downtown High River, or we can bring our mobile studio to you. Karyn Lee holds a Master of Photographic Arts designation from the Professional Photographers of Canada, and is Nationally Accredited in 7 categories. Karyn Lee serves as an active judge for PPOC both nationally and provincially. She has won awards for her fine art, corporate and children’s photography. Talk to us today and let us help you put your best foot forward! 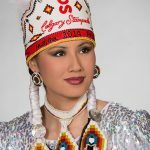 Official Portraits of the Calgary Stampede Indian Princess are the artistic vision of Karyn Lee. Karyn ensures the portraits and autograph cards used by each Indian Princess captures the beauty of the First Nation culture with photographs to be cherished forever. We welcome our newest sponsor, Karyn Lee Portrait Couture, and look forward to working with Karyn for many years to come! 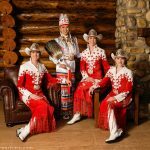 I have had the pleasure of working with Karyn Lee through her sponsorship of the Calgary Stampede Royalty Program. Karyn has been excellent to work with. Her photos are exceptional, not to mention her organization and commitment to her craft. Karyn is absolutely an asset to our program and we are very pleased to continue to develop our working relationship. We serve corporations and businesses of all sizes. Book a consultation with us today, and discover what Karyn Lee Portrait can do for your business. Wow am I ever behind on blogging! This was my last session with the Calgary Stampede Royalty! Ask me how I can help your business or corporation with promotional headshots and creative portraits!